In this class learn the traditional methods and techniques of dyeing your creations in indigo to achieve a range of beautiful blues. 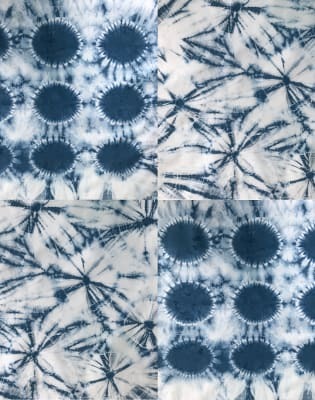 Shibori, like you have never seen it. Oh, wait, you have never actually seen it before and you are wondering what the hell Shibori is? Even better. 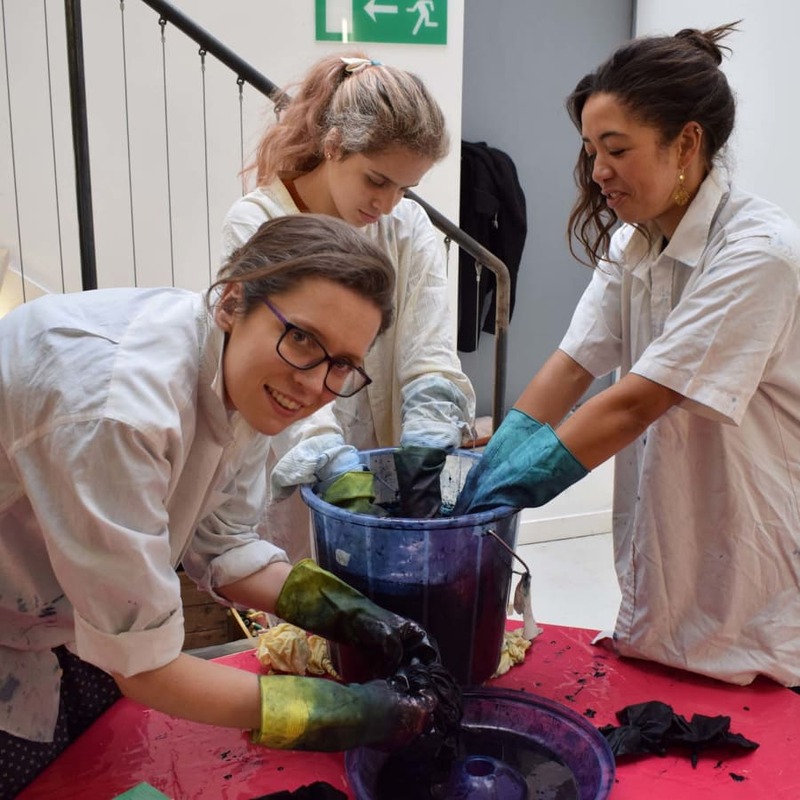 This class welcomes all levels of Shibori-ists, so if you're keen to explore a fascinating part of Japanese culture and learn about a beautiful dyeing technique why not head to trendy Hackney for this awesomely authentic day of Shibori? In the morning, learn the traditional methods and techniques of dyeing your creations in indigo to achieve a range of beautiful blues. You will perfect a number of simple traditional Japanese patterns and learn to dye with indigo using a pre-prepared vat. You will also learn how to unpick your finished work to reveal your designs! 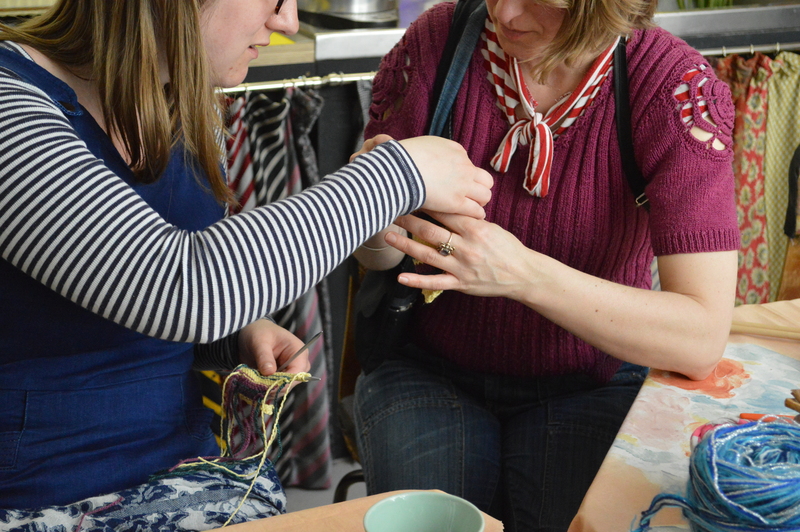 In the afternoon you will focus on learning two more complex traditional Shibori patterns. Yanagi - "Willow pattern" - this is a Shibori binding technique that results in a pattern that looks like willow. You will learn pleating and binding around a core and can either make a traditional pattern with kumo spiderwebs or one with hitta bird binding. Hinode - "Sunrise pattern" - this is a stitched and bound technique that results in a pattern that looks like a series of sunrises. You will learn how to bind your piece around a core to produce either a pattern with a reserved ground (all white apart from the suns) or one with the traditional binding marks. Finish with a beautiful indigo tie-dye creation. Rob Jones, your teacher, will be guiding you through all of these techniques as well as through the practical methods to make sure your finished article is perfect. Pull off some fabulous new looks - all with your very own patterns and style. Add a Japanese-inspired piece of decoration to your home to go with that old edition of Shogun. 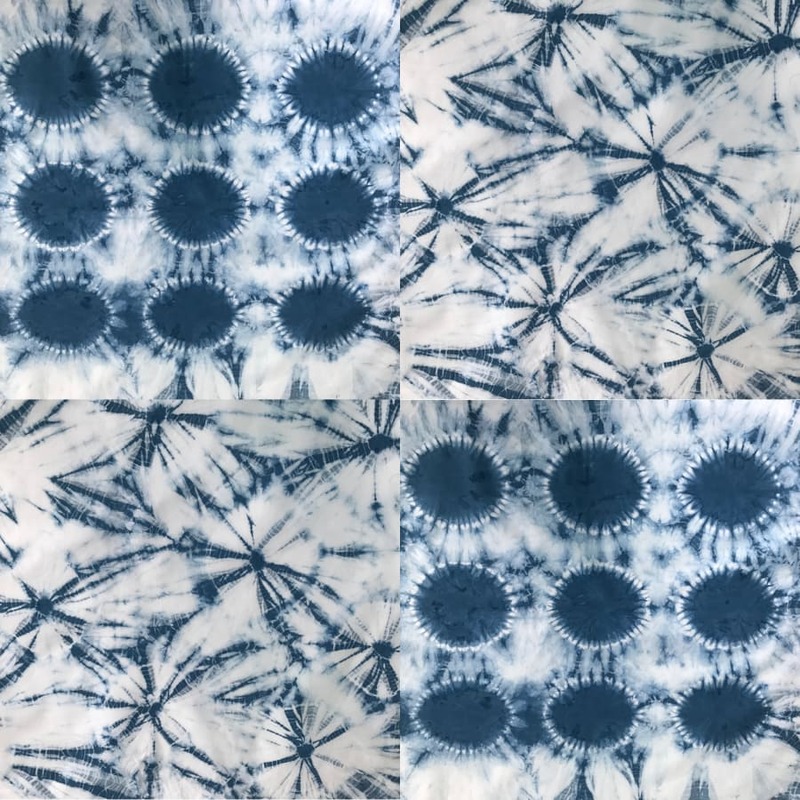 Your own Shibori design to take home with you and impress your family and friends with. Shibori gone mainstream! Tablecloths to duvet covers or iPhone cases to wallpaper, this ancient Japanese resist-dying technique of shibori has kicked off. Vera Wang, Ralph Lauren, Eileen Fisher, Levi's are amongst the fiber artists who are breathing new life into this amazing craft. * Bring along some small textile articles to up-cycle, e.g. napkins, t-towel, t-shirt, pillow case or 'fat quarters'* Fabrications has some fabric you can use and we will also provide you with a Tote Bag you can Shiborify!NB: fabrics must be natural fibres, cotton or linen are ideal and must have been washed and dried in advance of the workshop. The fabrics can have a slight print on, which will get over dye.